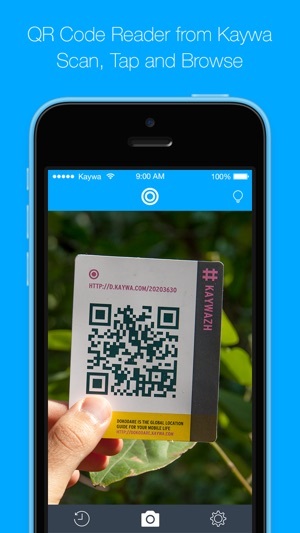 Kaywa Reader is lightning-fast and easy-to-use; it is simply the most beautiful QR Code scanner around. It is also the only one that lives by the saying , “a picture is worth a thousand words“. And amazingly it still comes totally free! 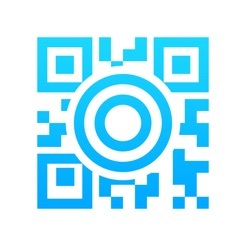 Check out our QR generator at http://qrcode.kaywa.com to create your own QR Codes and start scanning. Open the Kaywa Reader, point your phone at the QR code and it will automatically detect the code. That's it! No need to login, no need to take a photo or press a „Scan“ button like with other apps, just scan and enjoy the content! WHY WOULD I USE A QR CODE READER? QR stands for Quick Response; QR Codes allow you to get content as easy as pointing the camera at it. You have probably noticed printed ads with 2D barcodes while perusing magazines and newspapers or during shopping. 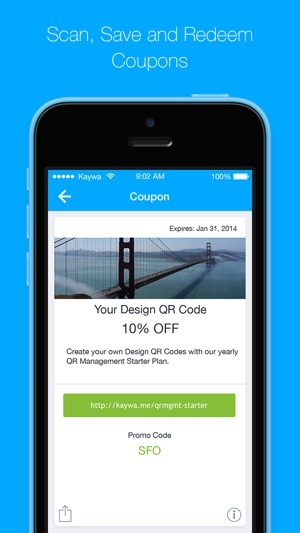 Many companies now use QR codes to deliver special promotions, coupons, contest entries or videos to great content. A 2D barcode scanner is your best shopping companion, connecting you with discounts and special offers! QR codes can do many things (for example play a video, create a Facebook Like, scan to buy, tweet, etc), and you will always be prompted to tap to take the relevant action. If the code encodes a web address (URL), we will redirect you to the website. 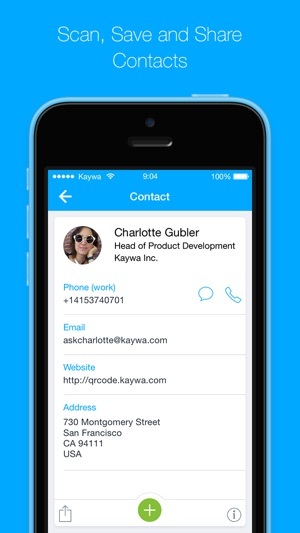 If the code encodes contact information (vCard) the Kaywa Reader will show you the contact information and allow you to add that contact to your address book. If the code encodes a text message, you will see the text message and with one click you can send it. 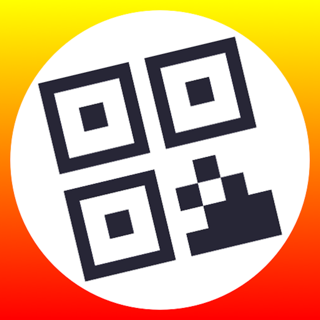 Kaywa not only brought QR Codes to the West in 2006, its reader was also featured by Google, Nokia, the Pet Shop Boys and TIM as their QR Code Reader of choice. 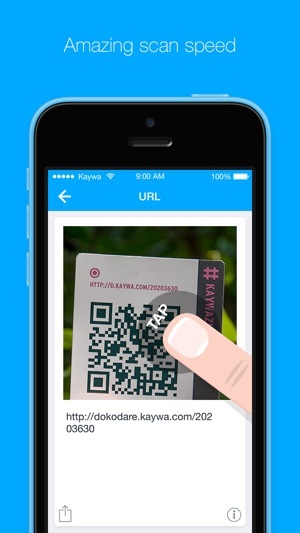 Lifehacker, the New York Times, the Economist, the New York Post and many other influential blogs, websites and newspapers on the other hand have always pointed to qrcode.kaywa.com to generate QR Codes. 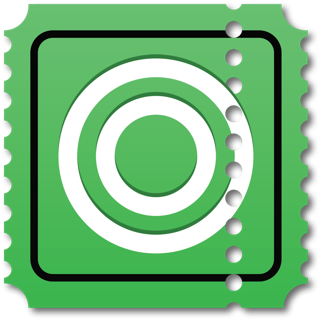 - Our QR Code Generator http://qrcode.kaywa.com to create your own qr codes for free and share them with friends. Our offices in Zurich, Switzerland and San Francisco, USA love to hear your feedback and Kaywa engineers worldwide are constantly optimizing the Kaywa QR Code reader to give you AWESOME. We strive for excellence and we hope you support us on this journey by rating us and giving us valuable feedback. 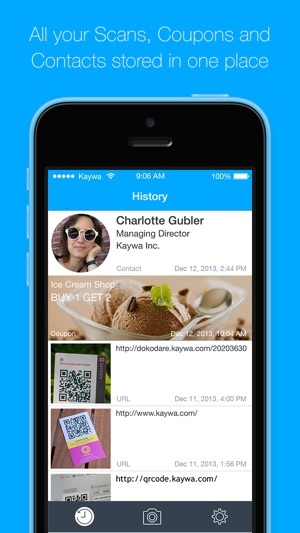 If you are having any issue with our QR reader app, please let us know at support@kaywa.com. 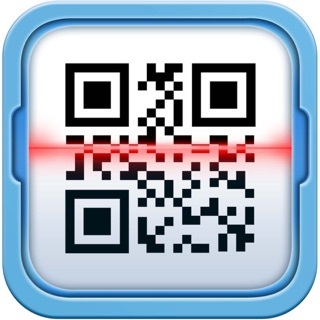 Best iPad QR scanner by a long shot. 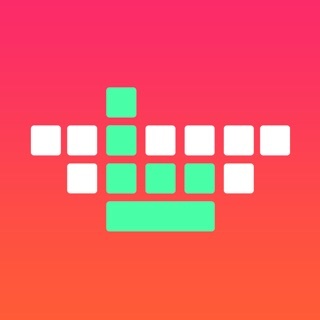 This app, compared to others I personally think is the best QR scanner, it is the by far the quickest QR and can read QR's under light differences. The app compared to other app's doesn't display ads, which is very nice. I love in the app that when you scan a text field you can copy to your clipboard just by tapping, another feature I love is that when the app detects a QR it will make a sound. The sound it makes is kind of high and annoying, however. This app is great. It is easy and intuitive to use.